This Special Cologne Was Created By Sean John, In 2005. The Fantastic Scent Includes An Extensive Mixture Of Sicilian Lemon, Italian Bergamot, Green Mandarin, Moroccan Tangerine, Grapefruit, Juniper Leaves, Birch Leaves, Champagne Accord, Mediterranean Air Accord, Tuscan Basil, Florentine Iris, Clay Sage, Lavender, Cashmere Accord, Australian Sandalwood, Amber, Tonka Bean, Rum. 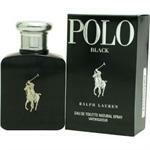 The Eau De Toilette Spray fragrance is original and 100% authentic.